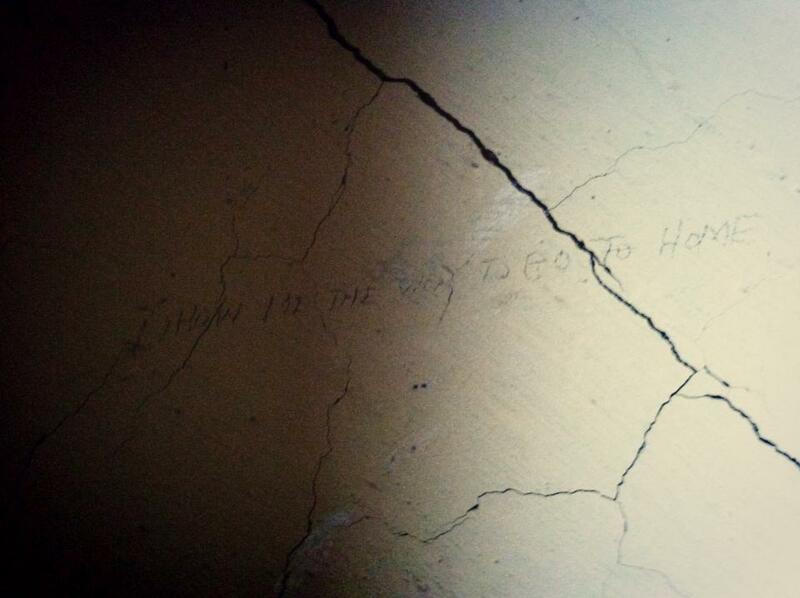 "Show me the way to go home." What is home, where is home, why can't I feel like I'm at home? 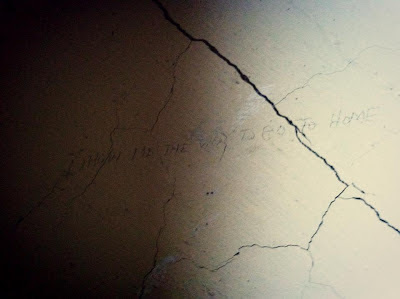 I am thinking about the man who etched this on the wall of the prison camp at Tulelake, of the man who thought that he WAS home and was suddenly yanked right out of it and forced to choose, to pledge allegiance without freedom, to disregard his ancestry, to question everything he's ever known. All during our drive through the mountains on yesterday's fourth of July, I thought of this man. Home of the brave. Ironic, I think. And so recent in time. When the "relocation center" turned into a "segregation camp." Evacuees were made to build the jail. A prison they created for their own selves. A prison of finest materials. A prison to call home. Some of the Filipina "Comfort Women" told me that during the war the Japanese would make the Filipino prisoners dig ditches. All lined up in a row they'd dig deep into the Philippine earth and when the ditch was wide enough, dark enough, long enough, the soldiers would raise their guns and shoot. And the ditch diggers would fall into the graves they had made.